Spin is the most satisfying science fiction novel I've read so far this decade. Robert Charles Wilson loves stories about changed worlds and inscrutable cosmic mysteries. In a number of his books — Darwinia, The Chronoliths, Mysterium — he's placed his characters in situations where they must deal with a complete and permanent shift in their realities. As with every writer, some of his books have been better than others. But not every writer can claim a book as lucid and confident as Spin, or as successful in achieving its goals. This is a work of nearly crystalline brilliance, that does what the best hard SF should do: marry intriguing and credible scientific ideas to suspenseful and heartfelt human storytelling. I couldn't find a wrong note in this book, which, as of this writing, has happened fewer than fifteen times in over four hundred reviews. This is the kind of book that makes me feel lucky to be an SF fan. Spin explores a broad spectrum of themes, but the one that leaves the greatest impact is how people confront tragedy, and face death when death is no longer a distant abstraction but an imminent threat. Everyone falls, says one character in a line that also opens the book, and we all land somewhere. Spin is about how we land. Occasionally people die in situations beyond their control, without having to endure the agonizing contemplating of it — a sudden coronary, a traffic accident. But if we have the time to see our fate coming, and can exercise some degree of control, how will we do? Will we go gently into that good night, or rage, rage? Will we take the cowardly way out, as one character here does, disappearing into seclusion to await the world's end with a handful of suicide pills? Will we retreat into manic religious faith, or fatalism? Or will we do what we can to make sure that whatever happens, our lives were not ultimately futile? Everyone in this book makes different choices. Some end up better than others. The final verdict is that life is always worth saving. Without warning, the Earth is enclosed in a kind of space-time membrane by ineffable aliens that come to be called the Hypotheticals. As in Darwinia, the story begins with a change in the sky. The stars can no longer be seen, but sunlight — or a strange facsimile — does get through. 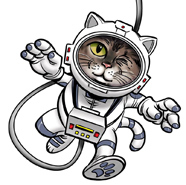 Spacecraft can penetrate this sheath, only to discover that time is working a little differently on the other side. For every year that passes on Earth, over a hundred million years are flying by in the universe outside! Naturally, all this happens without a clue as to the wherefores. But Jason Lawton is a man who makes it his life's mission to find out. We are told the story by Tyler Dupree, childhood best friend to Jason and his sister Diane. When the Spin strikes, they are only adolescents. We follow what happens to them over the next thirty-odd years, and it makes for the most compelling and mature storytelling Wilson has ever offered. Jason is a prodigy of science, putative heir to the political and business empire founded by his arrogant and domineering father. Jason's father is one of the few businessmen to come out on top in the years immediately following the Spin, launching a flurry of high-altitude aerostat balloons that fill the gap left by thousands of now-vanished satellites. Tyler comes from humbler origins, and dotes on Diane in what becomes almost a lifelong unrequited love. Jason becomes obsessed with learning all he can about the Spin and the motives of the Hypotheticals. Though Wilson never has Tyler — who goes on to become a doctor — say so, it's almost as if he has Asperger's Syndrome, a quasi-autistic condition that causes someone to focus on specific goals to the extent that normal social interactions and even basic life skills don't develop well. What Jason definitely does have is a creeping and devastating form of multiple sclerosis, and he relies on Tyler's ministrations to see him through his work. Diane, feeling neglected by her family and looking for meaning in all the wrong places, goes the other direction from Jason after the Spin, throwing herself headlong into extremist Christian apocalypticism. I've only summarized the smallest possible portion of the plot. (The blurb from The Washington Post, quoted extensively on the paperback's back cover, spoils loads of cool surprises that are better discovered in the actual story, and should be ignored when you pick up the book.) This should give you an idea of how much territory Spin's narrative covers. Wilson has crafted a truly epic, generation-spanning — actually, eon-spanning — tale while keeping the book as a whole at just over 450 pages in paperback, a manageable length. It's the kind of thing Stephen King would require twice the page count to tell. Pacing is paramount to Wilson. 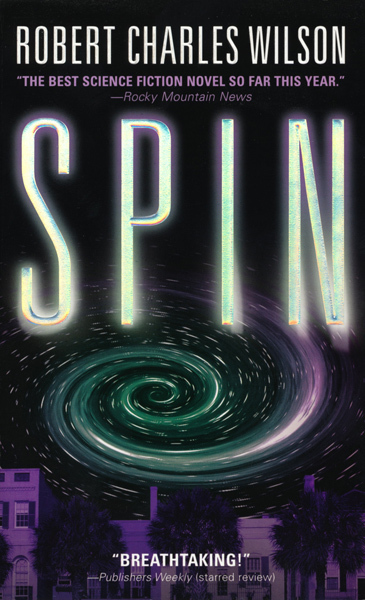 Many novels spend a hundred pages or so lollygagging along in setup and backstory, but Spin is engrossing straight through. Narrative techniques that from other writers might seem gimmicky or formulaic are handled with great finesse. Spin has a flashback structure, but its utilized sparingly, in a way that enhances your involvement. You really want to find out how our heroes got from there to here, and it's immensely satisfying to see how loose threads are carefully tied together, one by one. Wilson also isn't above the time-honored tradition of ending chapters on surprise reveals and cliffhangers. But compare how skilfully he does it to, say, a bestseller hack like Dan Brown. Spin is a rich and rewarding novel that proves idea fiction need not lack for warmth, and that humanist fiction need not pander to easy emotional button mashing that insults the intellect. There's as much here in the way of good hard SF speculation as there is emotional truth about how we look at life and death, at those we love, and at ourselves. That's why Robert Charles Wilson is such a powerful SF writer. He imagines startling futures, and he understands people. When it comes to the truth, he doesn't spin.